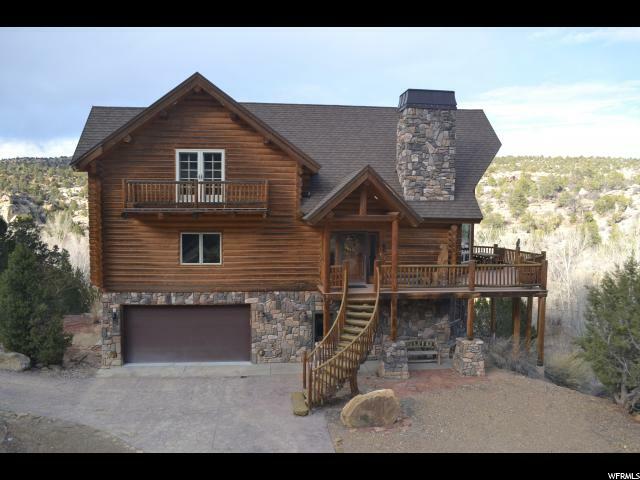 All Escalante homes currently listed for sale in Escalante as of 04/26/2019 are shown below. You can change the search criteria at any time by pressing the 'Change Search' button below. "Don't miss this rare opportunity to own your own piece of history in the heart of beautiful Escalante. This charming historical home sits on one of Escalante's last 1 1/4 acre corner lots and boasts a completely new farmhouse kitchen, new flooring, updated bathrooms, several outbuildings/barns, its own orchard, and amazing views of both the forested mountains to the north and the red rock mesas to the south. With a large dining room, huge yard, and plenty of parking, this well-built gem is the perfect place to plant your roots, host your friends and family, or use as a nightly rental under the quiet, star-field skies of Escalante. Located in the heart of Utah's adventure country, just minutes from mountain biking, ATV trails, hunting, fishing, rock hounding, hiking, and canyoneering. Power and water hookups for an RV near the barns. Large flagpole with lighting beside the firepit. One share of irrigation water and on-site propane tank are included with the home. Antique farm tools are available for purchase but are not included in the property price. Buyer to verify square footage. Home is zoned residential/commercial; county permissions may be required for nightly rentals. Permissions for horses and small livestock have been grandfathered in by the city. Agent is related to sellers. "